This is the first book to look at the psychological processes that enable humor to affect people and teams in the workplace. It recognizes that humor plays many roles beyond making people feel happier and more productive, and acknowledges humor’s potential darker side as well. Bringing together a small but growing field of study, the book features chapters around core psychological topics such perception, creativity and stress, while also addressing organizational issues such as leadership, teamwork, and social networks. The collection concludes with chapters on the role of humor in recruitment processes, as well as how humor consultants work with organizations. 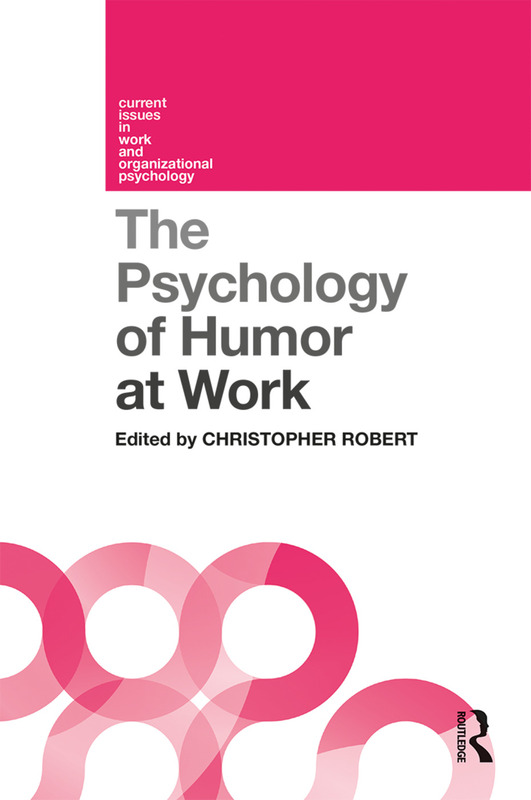 Each chapter in The Psychology of Humor at Work not only provides a comprehensive review of what is known in that area, but also considers future directions for research and practice. It will prove fascinating reading for students, practitioners and researchers in organizational psychology, HRM, and business and management. Christopher Robert is an Associate Professor of Management in the Trulaske College of Business at the University of Missouri, Columbia. His research focuses on humor at work, as well as cross-cultural management, work groups and teams, and conflict.